I'm still enjoying the Muji High Quality Easy-Open Notebook as my daily driver Bullet Journal, so I just picked up two more during a recent trip to San Francisco. Since I'm going to be rolling with a softcover for at least a couple more months, I decided to pull the trigger on an A5 notebook cover. I had more than a little temptation to splurge for a high quality handmade cover, but given that I will undoubtedly float back to the Baron Fig and other hardcover favorites from time to time, I decided to go for something more economical. The Kokuyo Systemic Refillable Notebook Cover fit the bill. The exterior of the Systemic is made of canvas. I opted for the gray and black version, but there is also a red and gray option available. The look and feel of it is neither bad nor great. It would not be mistaken for a Tom Bihn or Nock Co. fabric product under any circumstance, but it is a step up in aesthetics from the soft cover. It also feels very durable. The two-tone gray and black exterior looks nice. Depending on the light, the gray sometimes looks more like a taupe color to me. I don't really mind this, but it's something to be aware of. 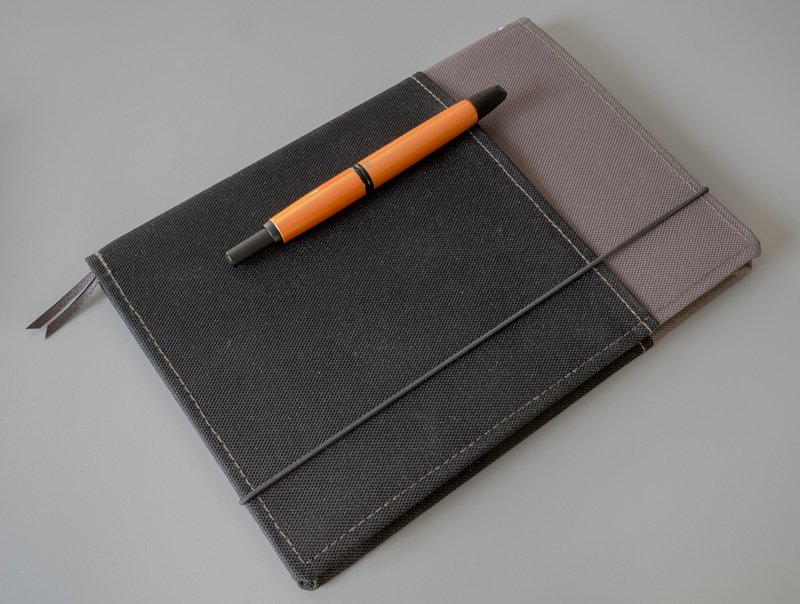 The cover includes an elastic cord enclosure to keep your notebook closed when not in use. There is also a ribbon tied through the cover to form a double bookmark. If we classify the build quality of the canvas exterior as "good," I'd call the elastic and ribbon "fair." They both function well, but it literally looks like they sought out the cheapest possible material they could find for these two components. The ribbon would be quite simple to replace with something nicer, but replacing the elastic cord would likely involve some unstitching and sewing. So, that won't be happening in my case. The inside of the Systemic has plastic flaps to hold the notebook in place. Inserting my Muji notebook was quite easy. It fits very well, and it opens and closes with a minimal amount of sliding around. 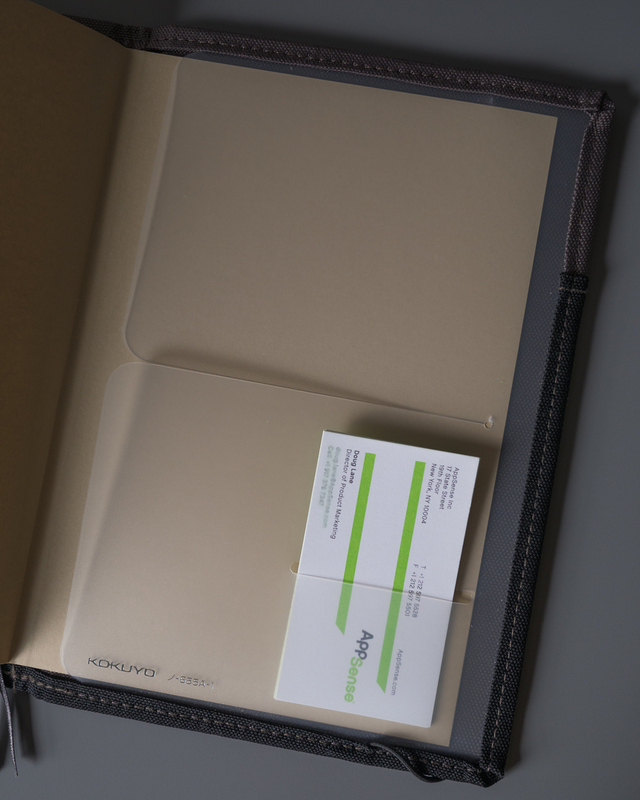 The rear flap includes a small cut for a handful of business cards. The plastic flaps themselves can easily accommodate the odd scrap of paper or receipt as well. There are also large pockets on the front and back exterior of the Systemic. I find it quite handy to be able to clip one of my fountain pens to the front pocket for short trips around the house or office. Smaller pens can even slide inside the pocket for a more secure fit. 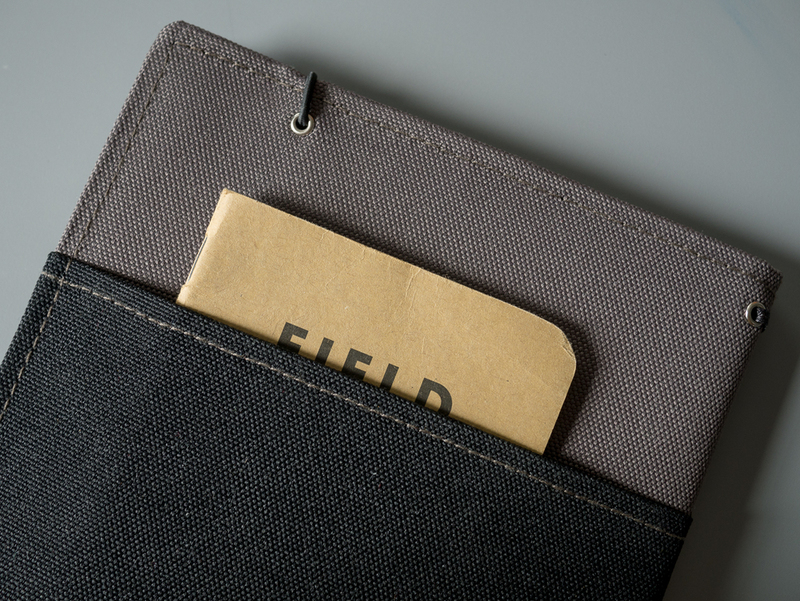 The pockets also work well as a Field Notes sidecar. While it may seem like I'm a bit down on the Systemic's build quality, I'm actually quite satisfied with it. I wasn't expecting a premium cover at a $23 price point. It's not a great cover, but it's a good cover at a reasonable price. There are surprisingly few A5 notebook cover options out there, and I am happy to have stumbled upon the Kokuyo Systemic Refillable Notebook Cover. While the build quality could be better in some areas, it's a nice cover for the price. It wouldn't have occurred to me to seek out a cover with exterior pockets, but they are proving to be very convenient. This will definitely be a consideration if I decide to step up to a higher end cover in the future. For now, the Systemic is meeting my needs well. 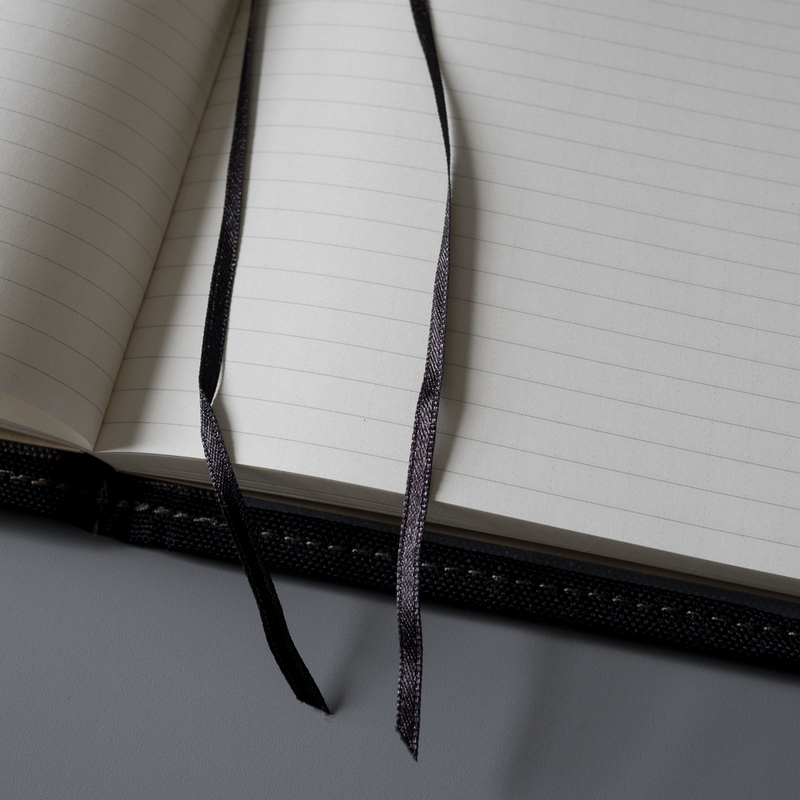 I plan to use it daily to "class up" my Muji softcover notebooks in the coming months. But thanks to the economical price point, I also won't mind putting it on the shelf for a while if I move back to hardcover notebooks in the future. You can find the Kokuyo Systemic Refillable Notebook Cover on Amazon or JetPens.